The action comes ahead of the beginning of the final hearing in the arbitration initiated by Cairn to oppose the retrospective tax demand which was raised on a 2006 internal reorganisation of the firm's India unit, called Cairn India. The Income Tax Department has seized a further Rs 440 crore of dividend income due to Cairn Energy Plc to recover a part of the Rs 10,247 crore tax demand it had raised on the British firm using a retrospective tax legislation. The tax agency had previously seized Rs 666 crore of dividends due to Cairn from its 4.95 per cent residual holding in Vedanta Ltd. It has also refused to pay tax refund of Rs 1,594 crore due to Cairn as a result of overpayment of capital gains tax to recover the dues. Sources said Vedanta, owned by billionaire Anil Agarwal, had last month declared for shareholders a Rs 21.2 a share dividend and a 7.5 per cent payment on preference shares. For Cairn, the total receivable came to about Rs 440 crore. But due to an Income Tax Department order, Vedanta transferred that money to a separate account. This was then taken over by the department. Cairn India was in 2011 acquired by Vedanta but the British firm continued to hold 9.8 per cent share in the company. Cairn India was last year merged into Vedanta Ltd. On merger, Cairn Energy's holding in Vedanta came to 4.95 per cent. 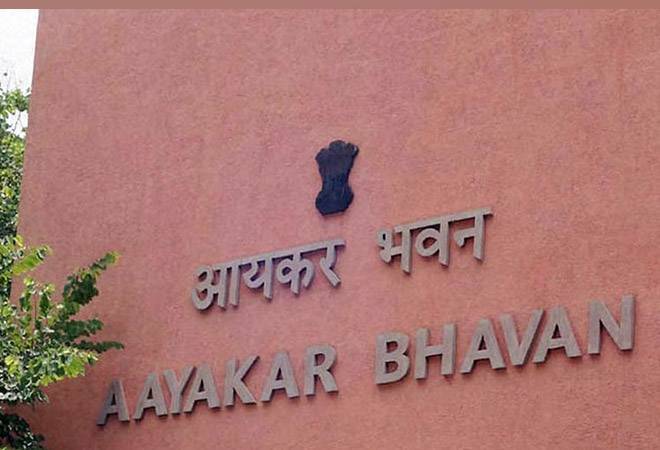 When contacted, a spokesperson of CBDT confirmed taking over the dividend saying its assessment order dated March 9, 2015 raised a tax demand of Rs 10,247 crore. "This order was confirmed by the Dispute Resolution Panel on December 31, 2015. However, no demand was paid by the taxpayer at that stage," the spokesperson said. Cairn filed an appeal before Income Tax Appellate Tribunal, which on March 9 last year upheld the assessment order. "As there is no stay of demand from any court or authority, the entire demand is enforceable. However, as the taxpayer did not pay the demand, the Assessing Officer adjusted the refund for AY 2012-13 amounting to Rs 1,594 crore. Dividend of Rs 666 crore was also adjusted against the pending demand in June 2017," the spokesperson said. Stating that the Cairn Energy's shares in Vedanta have been attached, dividend declared by Vedanta of about Rs 440 crore was also collected as tax in March 2018, the spokesperson said. "Total recovery in FY 2017-18 comes to Rs 2,700 crore of which the dividend amount is Rs 1,106 crore and recovery by way of refund adjustment is Rs 1,594 crore," the spokesperson added. The I-T had in January 2014 used a two-year-old law to raise a Rs 10,247 crore demand on Cairn Energy. The 2012 law gave the government powers to impose taxes retrospectively. Following the draft assessment order of January 2014, the tax department attached the company's residual 9.8 per cent shares in its erstwhile subsidiary, Cairn India, and confiscated dividend income it was due to receive. Also, a Rs 1,594 crore income tax refund was also confiscated. A final assessment order in January 2016 raised tax demand of Rs 10,247 crore plus an interest of Rs 18,800 crore. However, the interest demand was quashed by the Income Tax Appellate Tribunal in late 2016. Following that, the Income Tax Dept issued a revised demand including interest running from February 2016 -- 30 days after the date of the assessment order. While interest will be charged on the principal at a rate of 12 per cent a year from February 2016, penalties are assessed as 100 per cent of the principal tax due. A three-member international arbitration tribunal is to begin final hearing in August.